This Saturday is time for New Evangelists Monthly to begin a new edition. Today, I would like to bring to your attention 3 original, brief essays that you may have missed. If you don’t have time to read all three, I especially recommend the first one — Always be nice!. When we remain silent in the face of evil, we are NOT being charitable. Charity is the manifestation of love and if we truly love another, ignoring objectively sinful behavior is not loving but enabling. Our silence is unavoidably a response in itself, a raising of no objection, the implicit sharing of a “like mind” and an apparent affirmation. 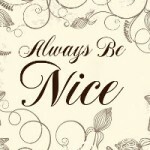 …read it all: Always be nice! 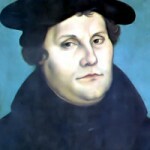 In the early 16th century, there were problems in the Church founded by our Lord, Jesus Christ. These problems wounded the Church and were born of sins and poor judgment of imperfect shepherds. As a matter of fact, the institutional Church was not perfect even in the early years nor is she perfect today. She will always need renewal and reformation, but she will prevail. 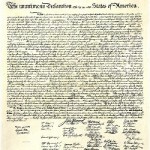 …read it all: Reformation or revolution?